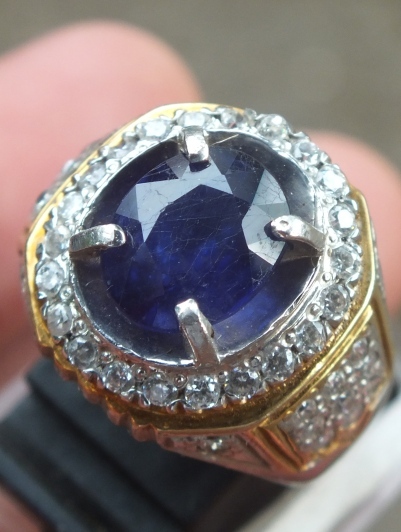 This is a nice natural Blue Sapphire from Tanzania, Africa. It is already on a good 18mm silver ring. 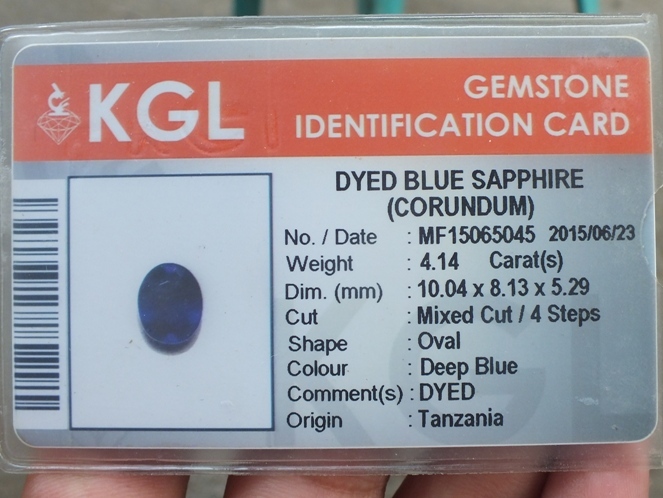 Sapphire from Africa is normally glass-filled and dyed. 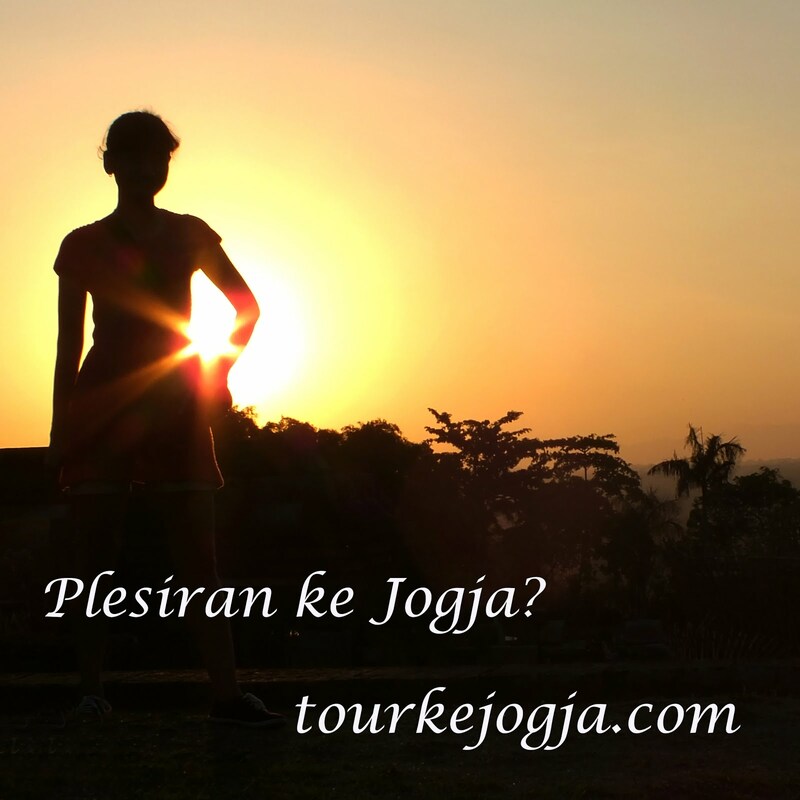 It is already examined by KGL Surabaya. 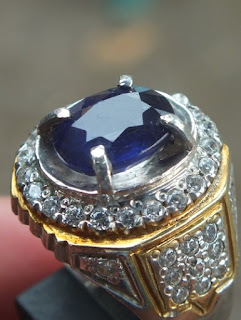 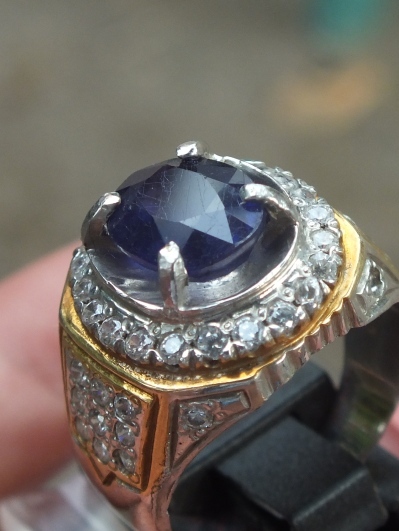 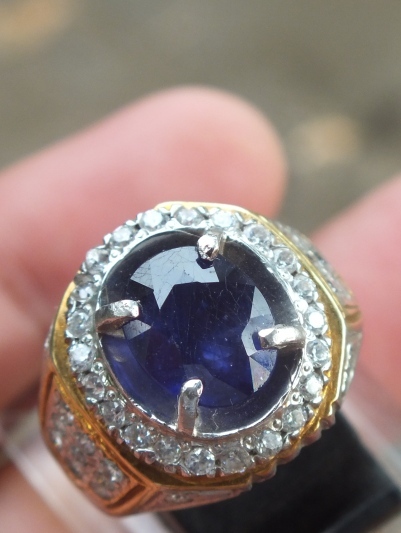 The size of this sapphire is 10mm x 8,1mm x 5,2mm.